To celebrate the launch of their book, Behind Closed Doors: Stories From the Inside Out, fifteen student authors have been sharing their stories about their struggles with addiction, sexual identity, abuse, death, bullying and parental incarceration — and discussing the healing power and validation that comes from personal storytelling. 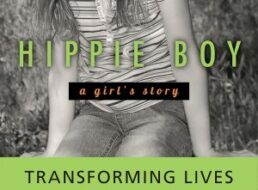 To help raise money for Whitman Middle School’s music department fundraiser, Ingrid Ricks be sharing stories from Hippie Boy and signing books at Barnes & Noble Northgate from 11 a.m. to noon on Saturday, May 3rd. It’s such a surreal day for me. Today is the day that Penguin is launching their trade paperback version of Hippie Boy nationwide. In some ways, this day is about fifteen years in the making. Ultimately, it took my degenerative eye disease to teach me that I needed to write my story to release the emotions I’d carried around inside me for years—and also to remind me that life is short, that all we have for certain is now, and that we’d better make NOW count. Hippie Boy Events & Paperback Giveaway! Penguin will be launching Hippie Boy Nationwide on January 7th! 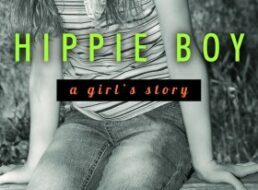 To celebrate, I’m giving away three signed paperback copies of Hippie Boy on January 7th. To enter the drawing, just leave a comment on this blog.